New Zealand is home to several world-class casinos. Located across the country, land-based casinos are situated in prime locations, accessible by a wide range of gaming fans. Here, you will find listings for each of New Zealand’s gambling venues, along with general information about each casino and its amenities. Built in 1994, Christchurch Casino is New Zealand’s first official gambling venue. The casino is open from 11am to 3am from Monday to Thursday and is operational 24 hours on weekends. There are over 500 slots and pokies available at the casino, in addition to a wide range of table games. The selection of table games includes roulette, blackjack, pai gow, Caribbean stud poker, baccarat, money wheels, tai sai, bingo and keno. There is also a poker room and VIP gaming available. Guests can also reserve table games for their own exclusive use. Home to great dining, there are two restaurants at Christchurch casino, a sports bar and lounge. The minimum age to enter the casino is 20. There is also a dress code in effect. Dunedin Casino is a diverse gambling venue. It is open daily from 11am to 3am and the minimum age for patrons is 20. There is a dress code in effect at all times. There are 170 electronic gaming devices at Dunedin Casino and there are several table games available, including baccarat, blackjack, Caribbean stud poker and roulette. 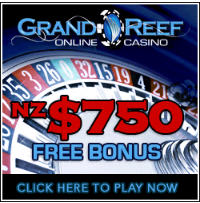 Dunedin Casino is also home to a large poker room, which hosts cash games every night and weekly tournaments. Patrons can stay at the Southern Cross hotel, which houses 170 hotel rooms. The casino’s Grand Bar & Café is an award-winning restaurant that has gained much acclaim. Having recently been renovated, Auckland’s Sky City Casino is one of the most luxurious casinos in Australasia. The casino, which is open 24 hours a day and 7 days a week, is home to over 1600 gaming machine and 100 table games. The casino’s list of games is extensive, as Sky City carries a wide range of gaming options for players. Table games include Roulette, Money Wheels, Blackjack, Baccarat, Caribbean Stud Poker, Three Card Poker and Pai Gow. The casino also offers bingo and its own poker room, where players take part in cash games and tournaments with buy-ins ranging from $15 to $500. There are two hotels at Sky City: Sky City Grand Hotel and Sky City Hotel. Grand Hotel is a luxury accommodation with over 300 high-class rooms and a spa. Sky City Hotel has over 340 rooms and offers a business centre to guests. There are 12 bars at Sky City Casino and 13 world-class restaurants. Additional facilities include a convention centre, a 700-seat theatre and VIP gaming. Sky City Hamilton is another popular casino run by the Sky City brand, open 24-hours a day. In addition to providing high-quality gaming, the casino is home to two restaurants and sports bars as well as a bowling alley. There are 330 gaming machines available at Sky City Hamilton. Roulette, blackjack, baccarat and Caribbean stud poker are just a few of the table games you’ll find at this casino. There is also a poker room and a VIP gaming facility called the River Room. Although smaller than its sister casino in Auckland, Sky City Queenstown offers players fun and excitement in safe environment. The casino is open from 12pm to 4am every day and is home to a great restaurant and high-quality gaming. At Sky City Queenstown, you’ll find blackjack, baccarat, roulette and Caribbean stud poker. Texas Hold ‘Em Poker is also available for patrons. There are over 80 gaming machines at the casino and players can take part in VIP gaming and a loyalty club. Wharf Casino is a boutique casino located on Lake Wakatipu. It is open from 11am to 3am daily. The casino is host to a wide array of special events and tournaments and houses the Waterfront Bar & Bistro. There are several table games available, including baccarat, roulette, Caribbean stud poker, blackjack and roulette. Patrons also have access to a wide range of gaming machines and a poker room.